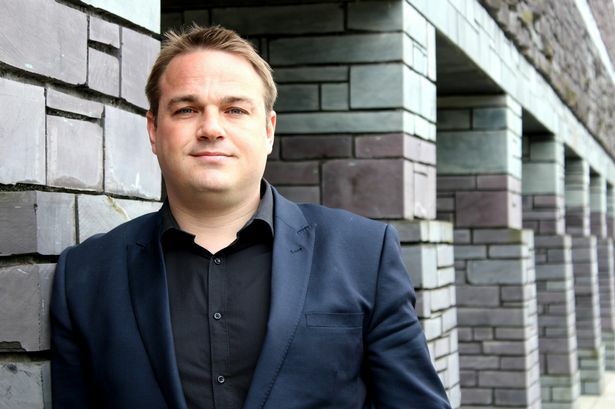 For this month’s Breakfast Club we were joined by Mathew Milsom, Managing Director of the Wales Millennium Centre, Wales’ No 1 visitor attraction. 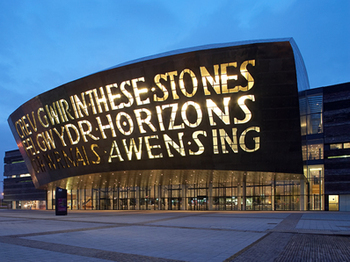 Described by Mathew as a ‘gleaming beacon of inspiration, sitting proudly at the mouth of the bay’, Wales Millenium Centre contributes over £50 million per year to the Welsh economy and employs over 1000 people on site. The Centre forms part of a ‘creative cluster’ in Cardiff, alongside the BBC, soon to arrive Pinewood Studios and others, showcasing the best of the Welsh Arts. Mathew feels the iconic facade, for which the centre has become known, defines the organisation; a furnace of creativity, which extends horizons and increases confidence through participation. Mathew began by explaining that an important aspect of the Centre’s work is the community projects that it operates. The Centre aims to provide children and youngsters in Wales with new opportunities that weren’t available in the past, opportunities to perform, gain life changing experiences and leave a legacy. The Centre has provided creative opportunities for 200,000 children in total since opening in 2004, alongside staging 3500 shows and putting on 4000 free performances. Mathew explained that two things have been key to the Centre’s success during this time, firstly, financial sustainability. 57% of the Centre’s income comes from ticket sales, and only 20% from subsidy, a figure lower than other similar arts organisations in the UK. This is helped by the 81% attendance that the Centre achieves across all genres of show, compared to London’s 68%. 87% of the Centre’s audience currently comes from South Wales, and 73% from the South East of Wales. Less than 1% currently comes from abroad, but Mathew recognises that to increase this figure would be an expensive challenge. To do so, the Centre needs to offer unique performances, and it’s hoping to nurture the creativity behind these through its youth programmes. Secondly, the success of the centre is down to great people. Mathew feels fortunate that the WMC’s workforce all share a passion for the creative industry and for Wales, as well as understanding and buying in to the values of the Centre. The next Breakfast Club will be held on Thursday March 20th, with guest speaker Hugh Morris, Chief Executive of Glamorgan Cricket. For more information or to reserve a place, please contact Eira on eira@petersenspr.com or 02902 549597.